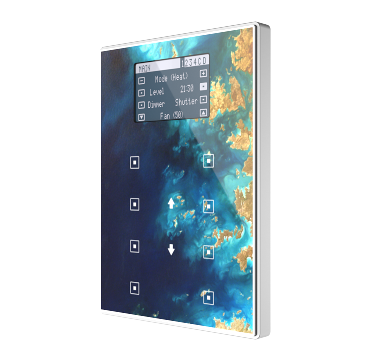 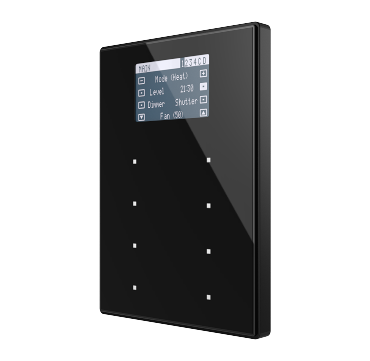 TMD-Display View is a room controller with a 1.8” backlit display that will cause the desired aesthetic impression in any ambience. 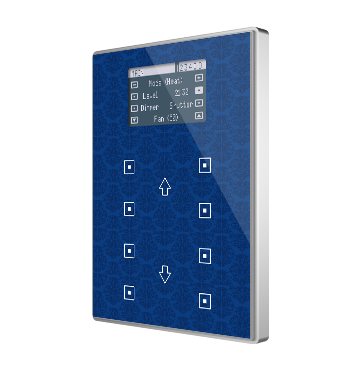 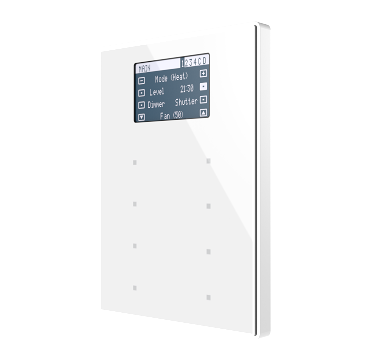 It is able to manage climate, audio, shutters, lights… thanks to its 32 functions distributed in up to 4 pages accessible by pressing or sliding on the central area of the panel. 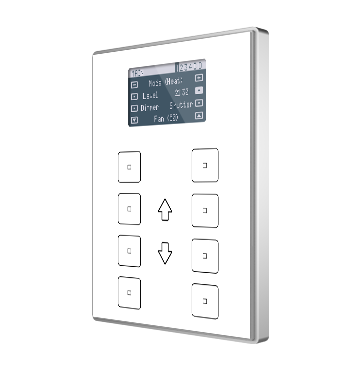 TMD-Display View also includes thermostat function, internal temperature probe and two analog/digital inputs for great functionality. 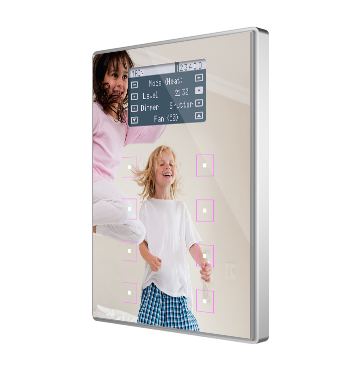 Its customization is based on a professional printing on a high-strength tempered glass.